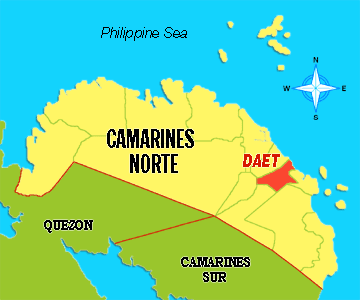 Daet, Camarines Norte - A flashflood due to heavy rains claimed the lives of the three (3) of four (4) miners inside an abandoned mine site in Brgy. Binit, Labo, this province. Information gathered by PBN- DZMD-am disclosed that that the incident happened on or about 11:00AM, Monday, December 19, 2016 when the miners entered into the abandoned mine site to retrieved their belongings when trapped by the flashflood triggered by continous heavy rains. A search and rescue operations was initiated by the Municipal Disaster Risk Reduction and Management Council (MDRRMC) and Labo PNP and recovered three bodies but were pronounced dead by the medico legal.